So I have this friend who is learning to cook and trying to eat healthy. Can I just say I do a happy dance when young mothers decide they want to feed their family healthy and are even willing to learn to cook if they don't know how. Anyway she is doing awesome and I'm so proud of her! Well you know how we all have our very favorite foods that are a family tradition that you don't want to give up? Angel Food Cake happens to be one of their family favorites that her husband loves to make. 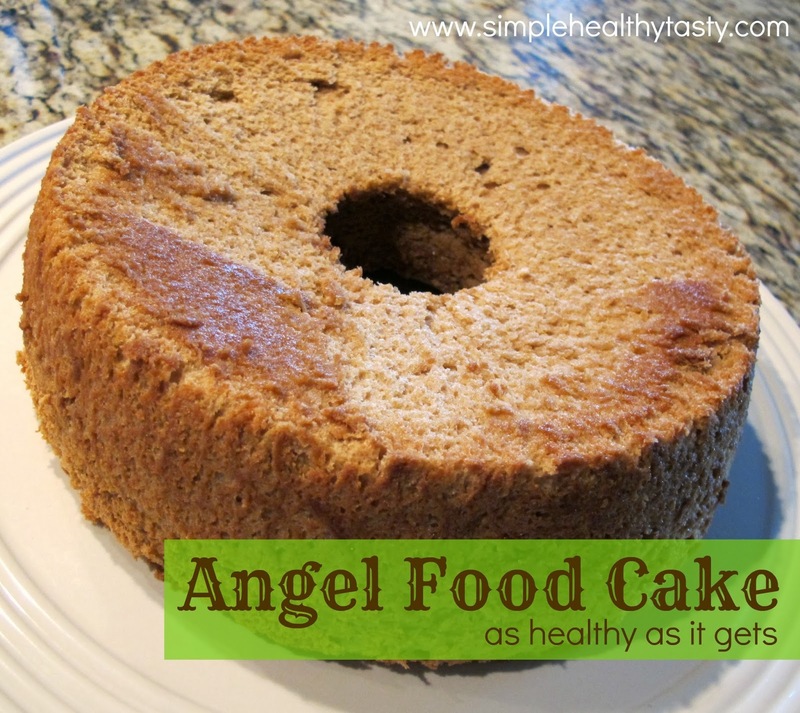 To be honest though I had not had angel food cake for years.....I mean years like at LEAST 12 and I had never ever made the homemade kind it was always store bought. So this was a new experience for me. Thus the reason it isn't as pretty as it could be. Maybe with practice. I also think it wouldn't be too hard to make it gluten free by replacing the 1 cup of flour for a gluten free cake flour mix or something like that. I haven't tried it, but I think it would work. Still not the epitome of health as it's really quite sweet. But it tasted JUST like I remember angel food cake tasting! So for special occasions or once in a while I say ENJOY! What are dehydrated cane juice crystals? They are sugar cane juice that has been dehydrated. 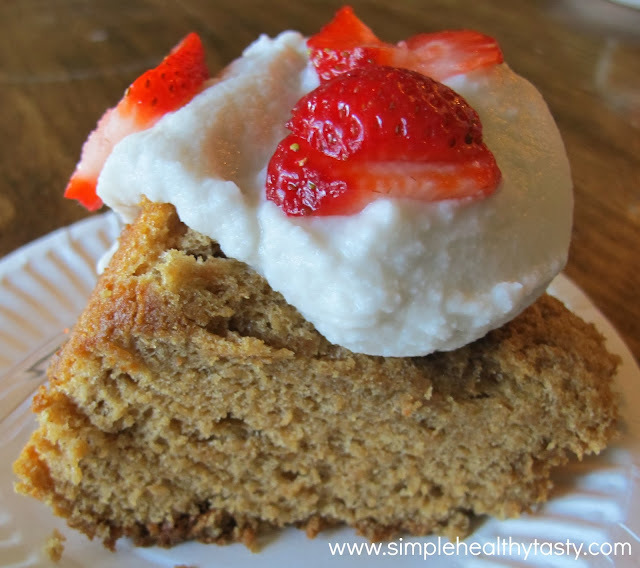 Raw/Turbinado or Organic sugar can easily be substituted. They are all basically the same thing.